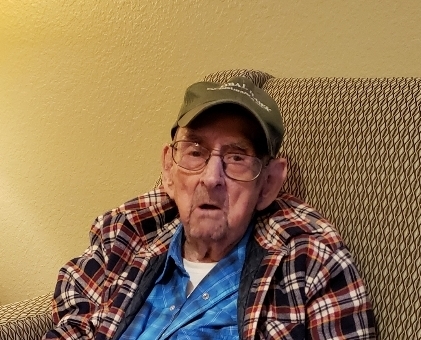 Derrick Leroy Depoe, 86 of Lake City, passed away on Friday, March 15, 2019, at the Suwannee Health and Rehabilitation Center in Live Oak. He was born in Durham, North Carolina to the late Hazel L. Depoe. Mr. Depoe was raised in Newton Grove, North Carolina and a veteran of the United States Navy. He had made his home in Lake City for the past 40 years and had previously lived in Gainesville. Mr. Depoe was of the Baptist faith and he enjoyed cooking, and dancing when he was younger. Survivors include his children, Marie Depoe Martin (Timothy L.), James Richard Depoe and Darlene Diane Depoe Belcher all of Lake City, and Debbie Lynn Depoe Honeycutt, Clinton, NC; twelve grandchildren, Robert Martin, Kurt Martinez, Shawn Martinez, Timothy Martin, Jr., Darin Martin, Anne Randall, Charles Depoe, James Depoe, Johnathan Depoe, Terry Olgetree and Billy Belcher and nineteen great-grandchildren. Funeral services will be conducted on Thursday, March 21, 2019 at 4:00 PM in the Gateway-Forest Lawn Memorial Chapel with Rev. Jerry Tyre officiating. Interment will follow in Forest Lawn Memorial Gardens Cemetery with military honors. Visitation with the family will be two hours prior to the service from 2:00 PM to 4:00 PM at the funeral home.